Technology has a million amazing applications, but the Wallis Annenburg PetSpace is using technology to get the word out about their pups in ways we never imagined! Unlike other shelters we’ve seen, the Annenburg PetSpace doesn’t have wire kennels. Each adoptable pet gets his own suite with a television that plays pet-friendly shows to entertain him while he waits! Visitors can learn about each pet on a mega-sized screen outside its suite. Each pet has a profile – not entirely unlike the kind you might have if you were looking for love online. Only these pets are looking for the love of a family! If you meet someone too cute NOT to share, you can instantly send their profile to family and friends from the screen. 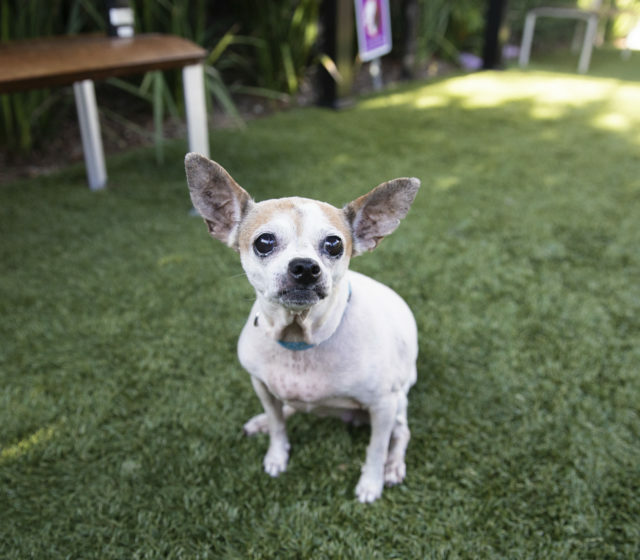 “One of the goals of Wallis Annenberg PetSpace is to illustrate a unique approach to pet adoption. We work hard to change the perception of what a pet adoption space and the process can look like. Though the space can mimic the look of a real home and provide friendship and care, it can’t give a pet the connection and love that only a family can provide. November is National Adopt A Senior Dog month, and the Annenburg PetSpace is inviting visitors to meet the senior dogs at their Senior Pet Adoption Fair on November 24th, 2018. Senior dogs have so much to offer a new family, but don’t often get the chance to show it. 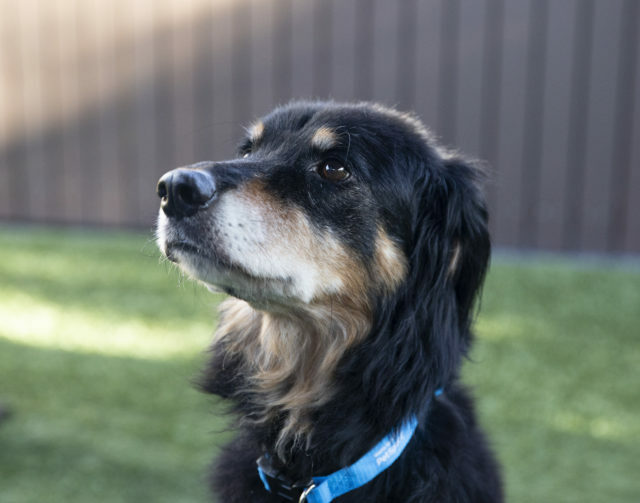 “Senior dogs are often overlooked at shelters, due to concerns over lifespan and health needs. The reality is that pets can have much longer lifespans with proper veterinary care and attention at home. These dogs make wonderful companions and deserve our love and attention. Currently, the Annenburg PetSpace is doing its part to help California’s pets as the state battles multiple dangerous wildfires. 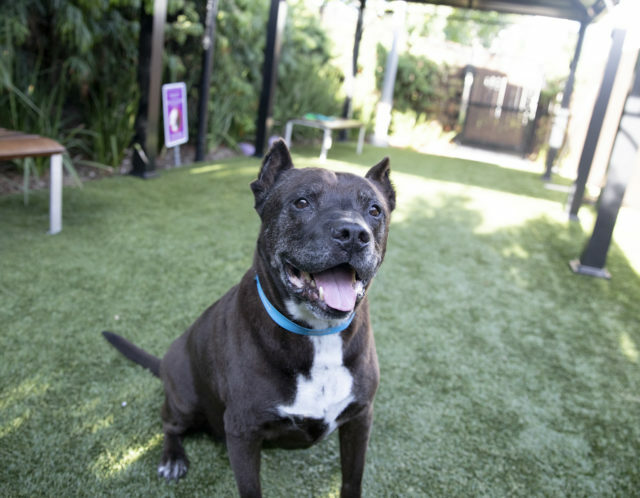 They’re waiving their adoption fees for pets while they help Los Angeles shelters make room for more pets who are becoming displaced due to fires. Check out the Wallis Annenburg PetSpace online, and don’t forget to visit their huge Senior Pet Adoption Fair on November 24th from 11AM to 3PM!